Another special Goat Milk Soap with a blend of ingredients to satisfy your senses and pamper your skin. 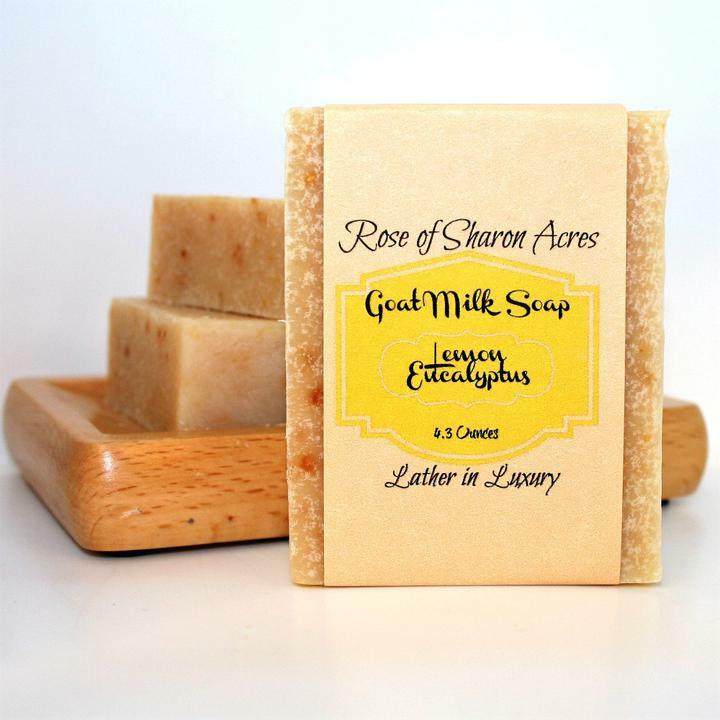 Our Lemon Eucalyptus bar is filled with goodness that moisturizes your skin and the addition of lemon peel helps to exfoliate. We've also added skin loving Aloe to this rich bar of goodness! It's also known that bugs HATE this scen so it would be an excellent addition to put in your camping plans.